Accounting vs. Bookkeeping: What Does Your Business Need? And Why? In order to operate a business, it is mandatory that all your financial transactions are recorded and proper books of accounts are maintained as per statutory requirements. This requires a lot of time, effort and expertise. You can let payroll management companies like PaySquare handle your accounting functions, so that you can expand your business. How Does Accounting Differ from Bookkeeping? There are 8 major differences between Accounting vs. Bookkeeping? Bookkeeping is normally related to identification, measurement and recording of financial transactions. Accounting includes making a summary, interpretation and communication of financial transactions which are classified in the ledger account. Bookkeeping data does not help management take decisions. However, crucial business decisions can be taken with the help of accounting data. The primary goal of bookkeeping is to keep proper and systematic record of all financial transactions. Accounting aims to interpret a financial situation and communicate the observations to the relevant authorities. Bookkeeping does not deal with preparation of financial statements, while these statements are prepared in accounting. There are no specific skills required for bookkeeping. You need special skills for accounting as it is analytical in nature. There is no analysis involved in bookkeeping. Bookkeeping information is used by accountants for data analysis and interpretation leading to compilation of reports. There are 2 categories in bookkeeping namely single entry and double entry. The accounting department deals with planning of loan proposals and prepares the budget of the company. Bookkeeping involves accuracy at work and knowledge of financial topics. Accountants oversee the work done by bookkeepers. Accountants with sufficient experience can acquire the Certified Public Accountant (CPA) qualification. As all statutory regulations are handled by PaySquare, you can focus on meeting the addressing the demands of your growing business. As per the Income Tax Act regulations, you are required to maintain your books of accounts and report profits or losses so that they can estimate the tax payable by you. This information needs to be presented in a specific format and be in accordance with the requirements of the Act. If you don’t comply with the regulations, you could face huge penalties which could spell disaster for your business. You need to keep a tab on your cash flow and this is only possible if accurate records are kept and bookkeeping ensures that all the required records are properly maintained. You will be able to make provisions for any unexpected contingencies and protect your business from losses. When you incur expenses solely for the purpose of your business, this can be claimed as deductions for tax purposes. You need to ensure that the expenses are paid in cheque and submitted on a regular basis like monthly or quarterly. The bookkeeper can monitor expenses for tax and accounting purposes. It will be easier for you to determine whether your business is profitable or not and keep track of things. You will also be able to gauge the progress of the business on a year-on-year basis and find out areas which can generate more revenue and the areas where cost reduction is required. This analysis of your finances can help you avoid future problems. A bookkeeper maintains records of a certain category of financial transactions like sales or payroll. Assets: This refers to the cash and resources which the business owns such as accounts receivable or inventory. Liabilities: These refer to the debts or obligations owned by the business like accounts payable and loans. Revenues: This refers to the earnings of the business normally through the sales of products or services like sales and interest income. Expenditure: Payments for various services utilized by the business like salary or utilities are referred to as expenditure. Equity: This refers to the difference between assets and liabilities and represents the owner’s share in the business like stock and retained earnings. Once these various categories have been created, the bookkeeper records transactions under appropriate heads. The transactions under the bookkeeping system are usually entered on a double-entry accounting basis. According to this accounting system, for every transaction there are 2 simultaneous opposite entries in 2 accounts. There will be a debit or credit for every transaction. Balance Sheet: This is a snapshot of the assets, liabilities and equity on a given date. Your assets should equal your liabilities and equity. It gives you an indication of the financial health of your business. Profit & Loss Account: You get the complete picture of your revenues, costs and expenses for a certain period of time like a quarter. You can make projections about your future sales and expenses from this. Cash flow statement: You can determine your net cash situation (outflow/inflow) from this statement which shows the difference between revenues and expenditure. It indicates how solvent your business is. 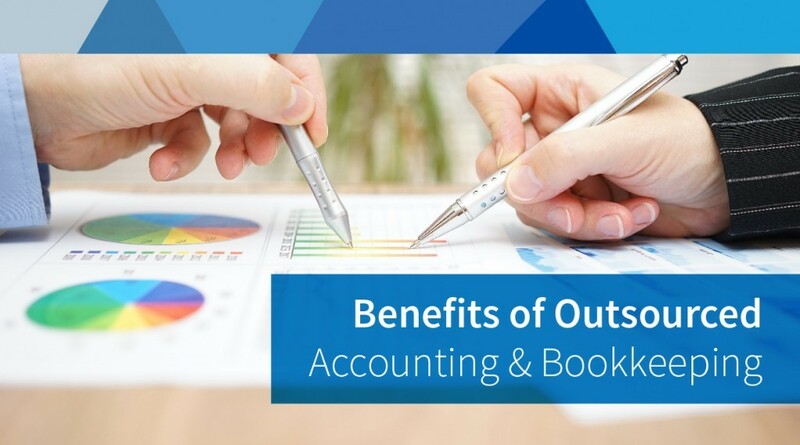 Profit from Outsourcing Your Accounting Functions! With professional payroll outsourcing companies handling your accounting functions, you don’t need to worry about complying with statutory regulations and concentrate on scaling up your business. Take your business higher with PaySquare!